Can’t help with math homework anymore? No problem. This post is sponsored by Chegg Tutors. I hated it as a kid, but I have to say, as a parent, I might hate it even more. I don’t have a ton of room to complain. I’ve been really fortunate thus far because my kids attend a school with a low-homework policy. Thus far, our homework has been mostly limited to required reading every night (easy peasy) and going over math facts. But my oldest has quite a bit of homework this year. For the first time, I have a kid coming home with serious math homework. And the rows of problems on a page, from long division to fractions to algebra, give me serious anxiety. Around the same time, a company called Chegg Tutors reached out to me about their tutoring services. Chegg Tutors is a huge online resource destination for students, with everything from used textbooks for sale to financial aid resources. 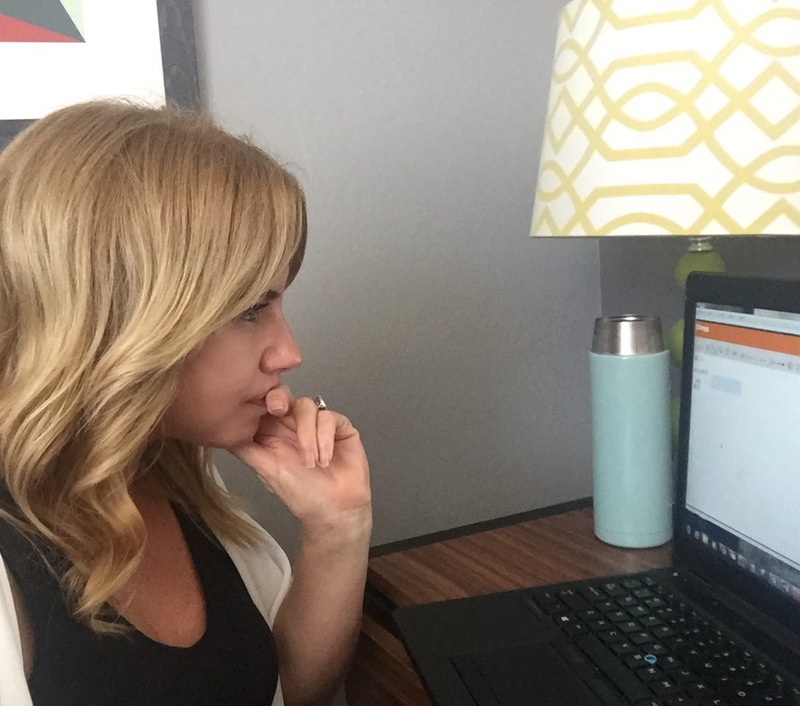 But their online tutoring services piqued my interest, because I love the idea of getting help from someone on an as-needed basis, and I love the idea of having online help available for my son. I decided to give the tutoring services a spin myself, wondering if perhaps a tutor could help me refresh my skills in terms of long division and algebra. It is amazing how quickly one can forget basic math skills. I was seriously stumped, but knew that I just needed someone to give me a couple helpful reminders about the processes. I also had my son try the service with his recent math homework. Chegg’s online tutoring interface could not be any easier. When you log on, you are given an option to find a tutor who is online and available on-the-spot. I love this, because it is often hard for me to make appointments with the chaos of every day life with four kids. I appreciated the fact that I could just hop on and find a tutor in the moment that I found some free time. I put a message out to Chegg Tutors about my concerns and what I was looking for, and immediately had five tutors message me back offering to help. This is my “I hate math” face. Once we started the tutoring session, Sophia helped me work out problems on a white board, leaving commentary along the way in a message box. I uploaded a copy of Jafta’s homework and we worked through each problem that had me puzzled. It was very collaborative, and insanely helpful. In about 20 minutes, she had a refreshed me on all of the basic math concepts in my son’s homework for this week. I loved that the tutoring was completely catered to my needs, and to the specific math problems I needed help with. I also appreciated that there was no set time for the tutoring session. I used only the amount of minutes that I needed, and am only charged for those minutes. It is incredibly flexible for busy families. 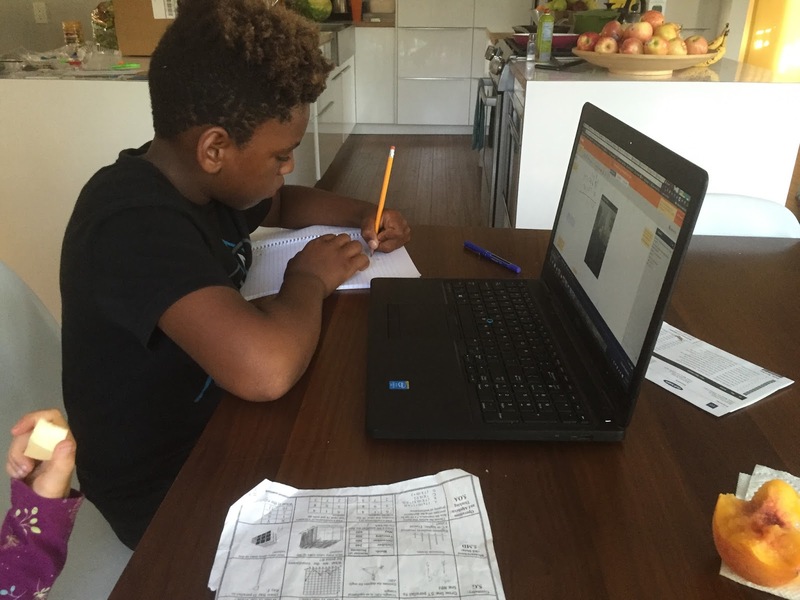 After my tutoring session I decided to set Jafta up with his own tutoring session on Chegg Tutors for the next week’s homework. 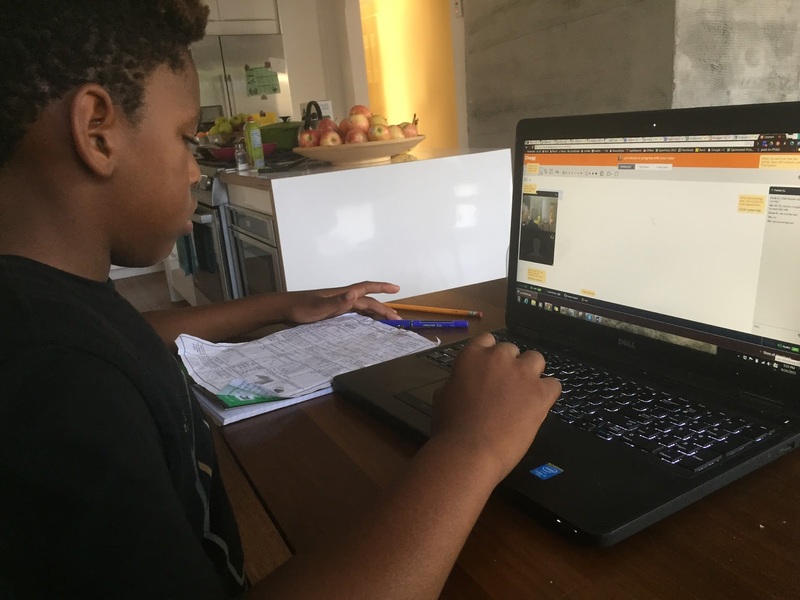 It is such a simple, easy, and user–friendly interface that he could use it himself, and I could avoid having to get tutoring in order to help him myself. In fact, I could avoid having to help him altogether, because he can check in on Chegg Tutors and get help whenever he is struggling, even if just for a few minutes. It’s like the uber of tutoring. I set him up with a video session rather than the messaging session I used, since he’s not as good at typing. It was great for him to be able to see the tutor and interact with his voice. 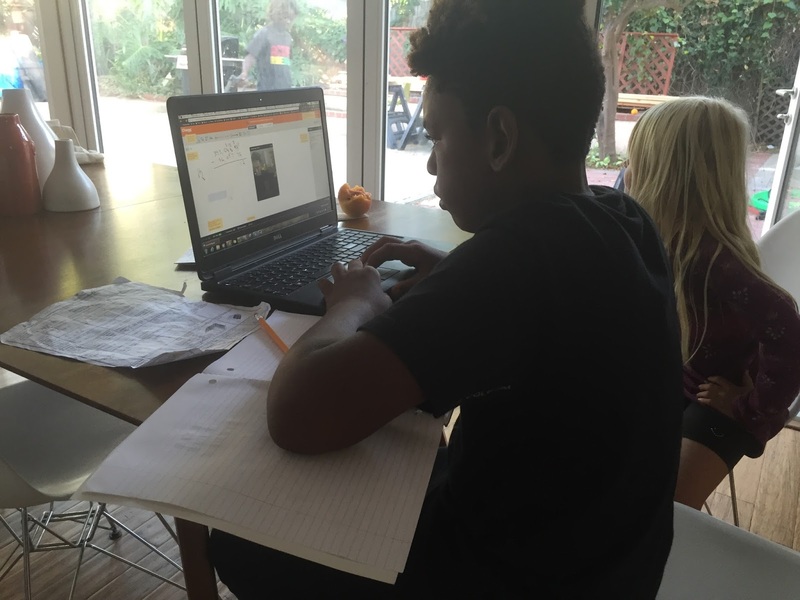 We uploaded his homework and they went through the problems that he was struggling with. The tutor talked him through it and drew on the whiteboard so he could follow along. I was able to walk away while he worked out his homework with an encouraging and patient tutor, who was much more adept at explaining the concepts than I am. Jafta really like his tutoring session and asked if he could do it every week. It only took him about 15 minutes to get through it, and so that’s all I was billed for. I think this may be how he does homework. Chegg Tutors has a parent portal where you can learn more about the service and how it can work for your family. Check it out here. If you are interested in trying Chegg Tutors for your own child, they are offering a free trial for Rage Against The Minivan Readers. Click here to sign up!